Gaultheria hispida (Snowberry) is a common, erect shrub that grows in wet forests (especially after disturbance) and also in subalpine woodlands. 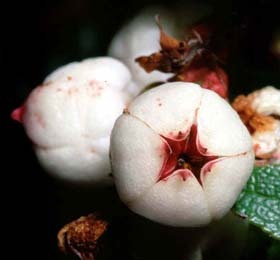 The leaves are quite distinctive: toothed, shiny with the veins depressed, and often with a reddish tinge at the tips. 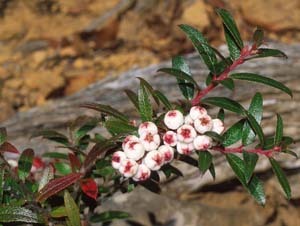 The stems are usually quite red. 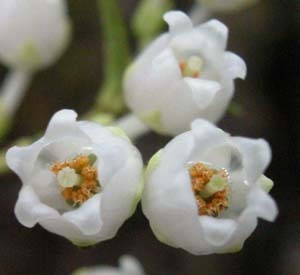 The fruit (snowberries) with white fleshy sepals enclosing reddish capsules are unmistakeable.